For large orders, please send a request. Click here. Dimensions according to customer requirements. Reinforced PVC (poliplan 650 g / sq m). Values Transport Bags Bank Seals Envelopes Labels (Стикери Етикети Пликове за сигурност, Banke brtve Sigurnosne torbe Naljepnice, Τραπεζικές Φάκελοι Ετικέτες ασφαλείας, Bank Plombak Biztonsági tasakok Biztonsági szalagok és címkék, Sigilli bancarii adesivi etichete buste e sacchetti di sicurezza, Bankplomben / Umschläge / Etiketten) – Sealing elements and security products used in areas requiring a high degree of security. It is used mainly in banking, cash in transit, and courier delivery. You get a sealing solution to provide an audit trail of seal scans controlling the steps along the route, securing ATM cassettes or evident interfere with protection of security bags, envelopes and security boxes. Special security tapes and labels have high bond-strength adhesives in combination with backing that are designed to fracture or delaminate under designated conditions to indicate premature attempts at opening. Custom printing, holograms, and security printing often assist in deterring and indicating tampering. A security bag is a heavy duty bag used to contain high-value products or documents or legally sensitive items. Envelopes with security features are called security envelopes as well as security bags. When used to contain items related to a crime, special evidence bags are used. 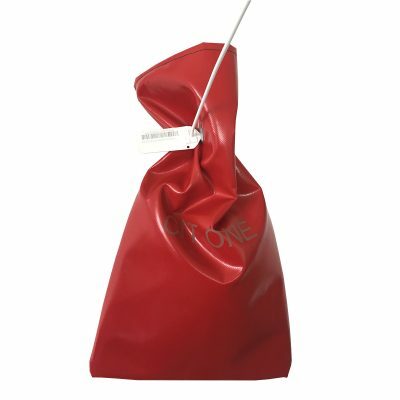 Security bags or envelopes may be specially designed plastic bags, paper bags or fabric bags. Bags or envelopes can be made to be tamper resistant to make it difficult for unauthorized entry. Several types of security features can be included in the flap structure which are designed to irreversibly indicate opening. The Values Transport Bags are oftentimes used by a security company and/or banks in transporting different grades of valuables like Cash-In-Transit (CIT), credit cards, coins etc. Wie viele Sicherheitsplomben würden Sie haben wollen? Standard-Sicherheitsplomben haben eine eindeutige Identifikationsnummer und werden direkt aus unserem Lager geliefert. Benutzerdefinierte Sicherheitsplomben haben eine personalisierte Identifikationsnummer und können mit Ihrem Logo bedruckt oder lasergraviert werden. Möchten Sie eine kostenlose Probe?